What does "contacts have been removed" mean? 1. A different Punchbowl user sent this person a Digital Card, Save the Date, or Invitation and they chose to remove themselves, which means they have chosen to be blocked from all mail or text messages from any Punchbowl user. In this case, no Punchbowl user is allowed to send to this email address or phone number. 2. You sent this person a Digital Card, Save the Date, or Invitation and they chose to remove themselves, then requested not to receive emails or text messages from you or your organization anymore. 3. You sent this person a Digital Card, Save the Date, or Invitation and they marked the email as spam in their inbox. 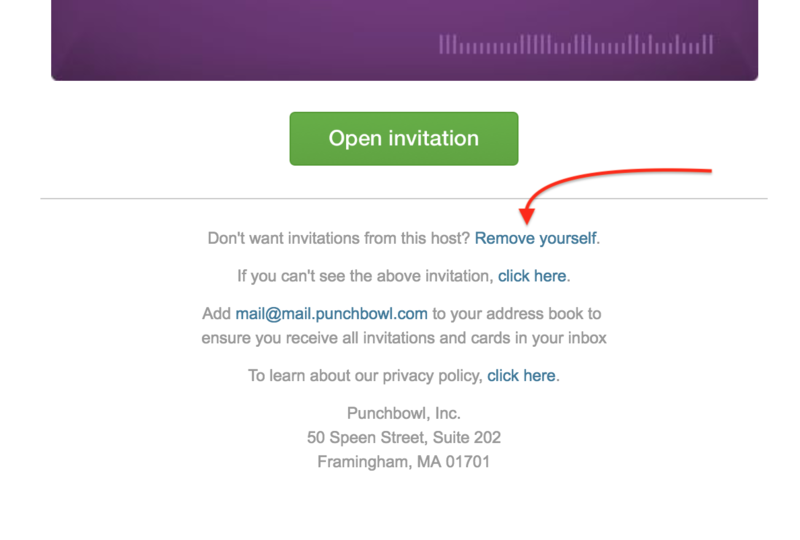 When this happens, Punchbowl removes the contact from future mailings from your account. If you think that your guest or recipient took one of the above actions in error, have them send an email to us at help@punchbowl.com requesting that we remove the block on their email address or phone number.